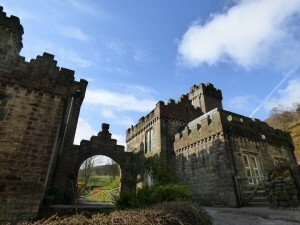 Castle Carr is a private estate in Luddenden Dean which is opened up to the public several times of year. 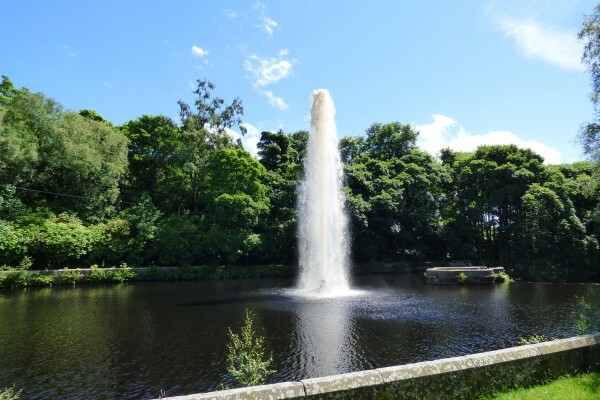 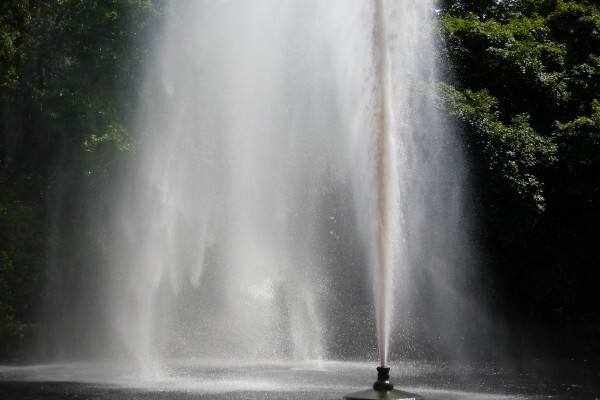 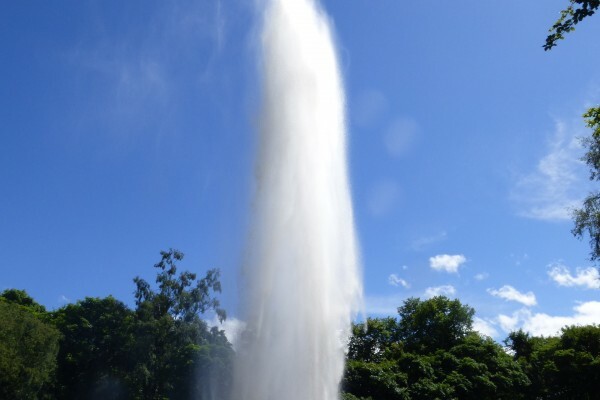 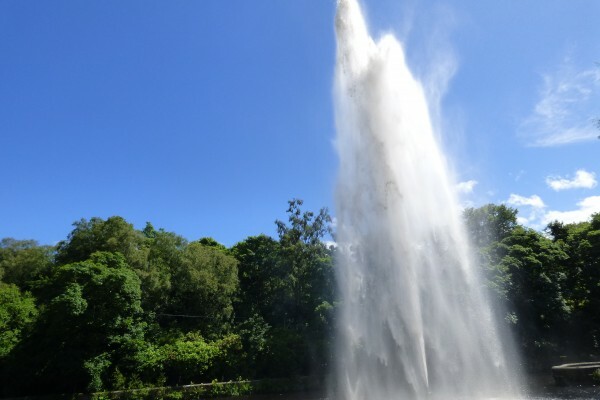 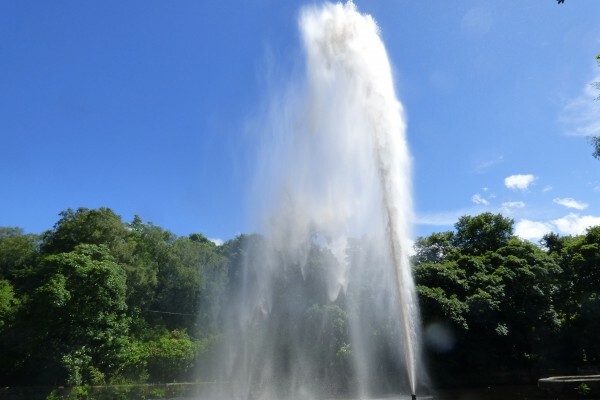 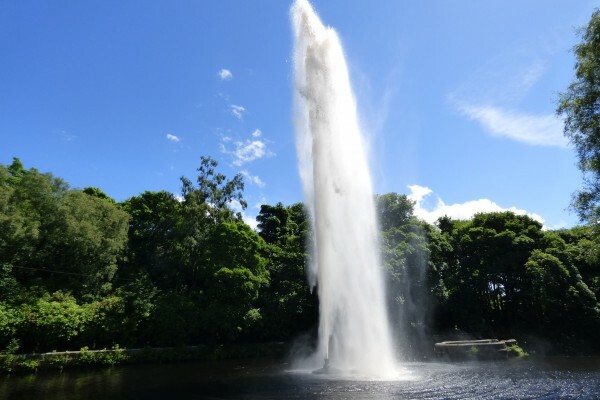 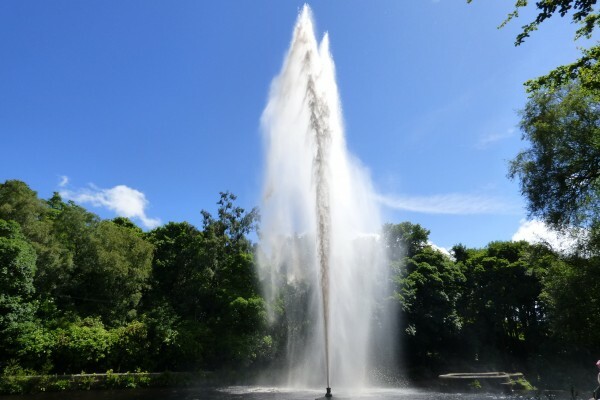 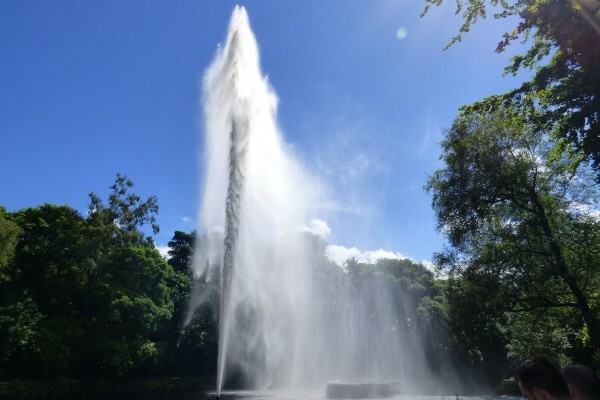 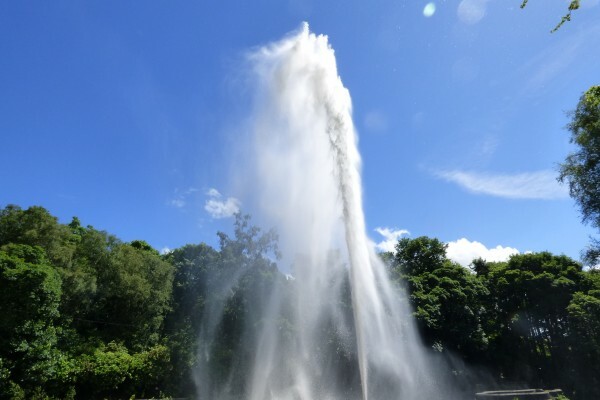 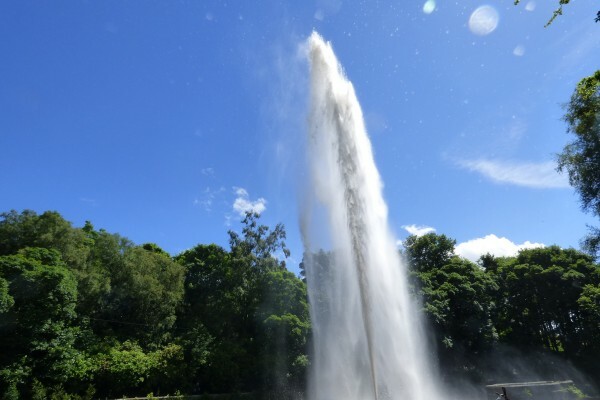 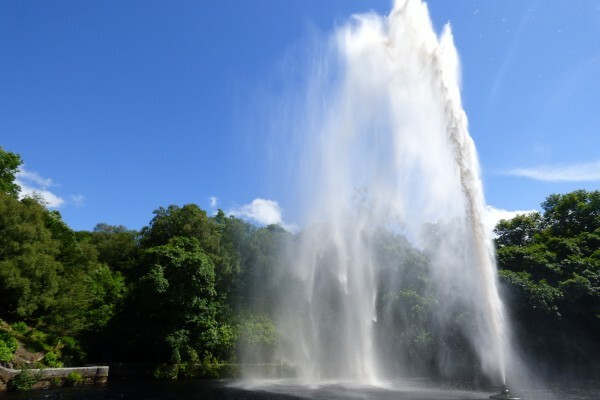 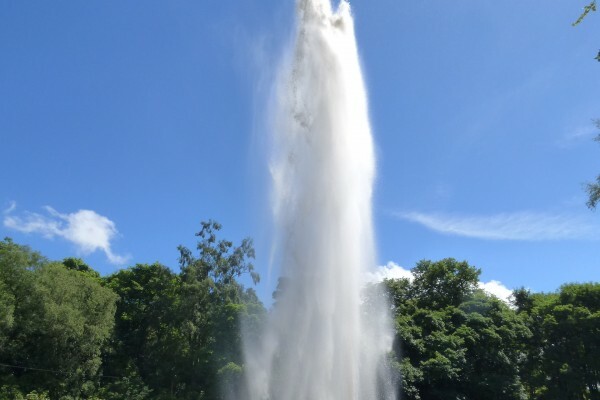 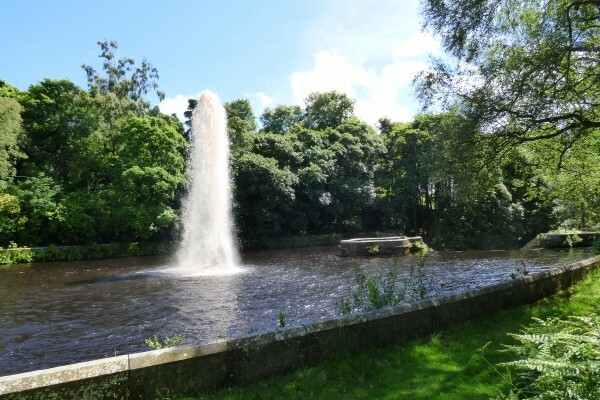 The principal attraction is the magnificent fountain in the ornamental water gardens, developed in the grounds of Castle Carr during the early 1870s. 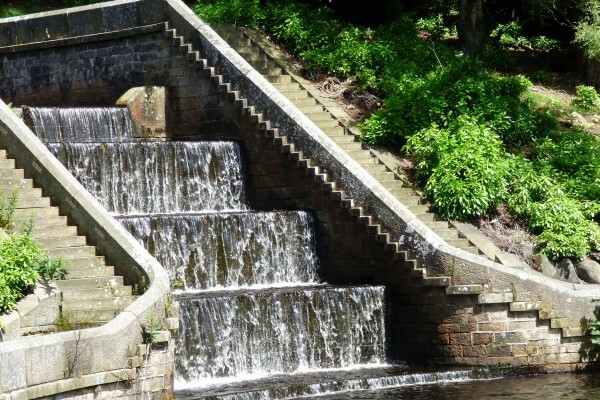 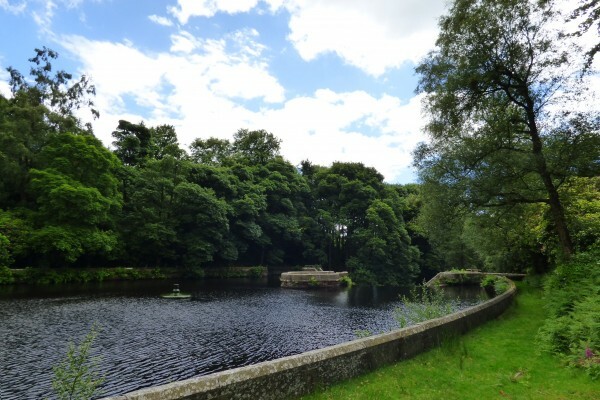 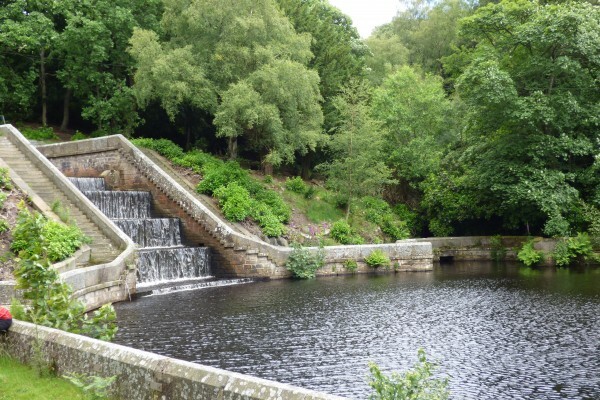 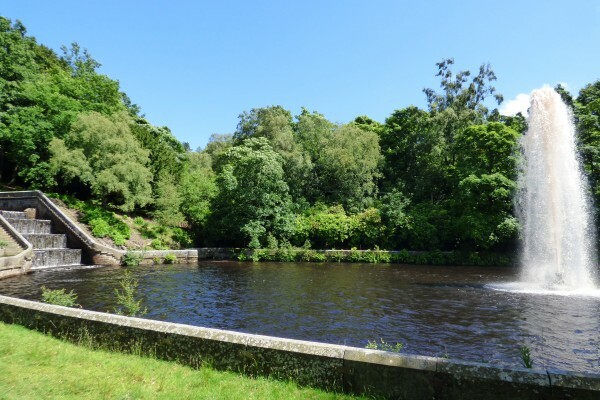 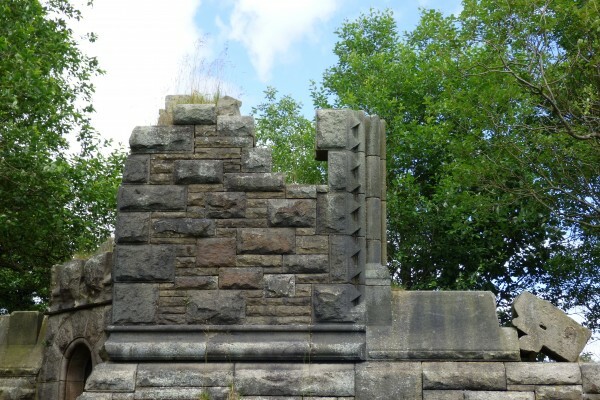 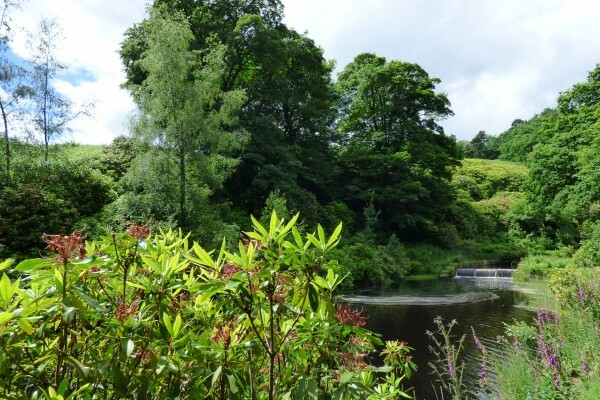 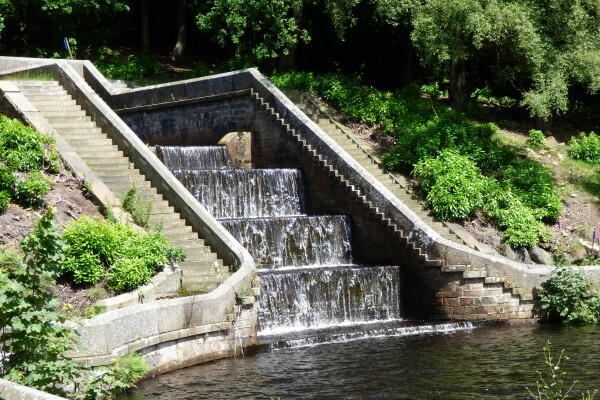 Funded by Halifax Water Corporation as compensation for building the nearby reservoirs, the water garden was designed by Halifax architect John Hogg, who also contributed to the design of the Castle Carr mansion. 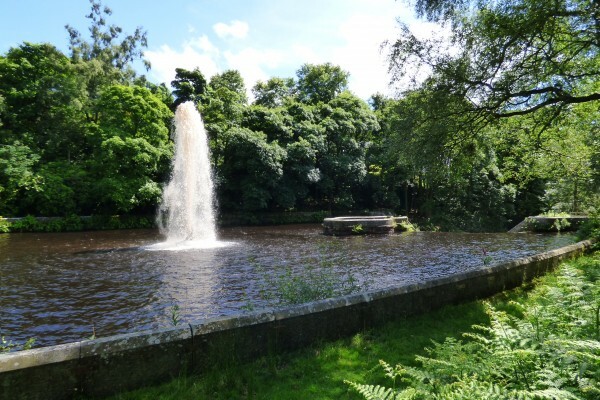 The single jet fountain is in the centre of a circular pool, known as the Compensation Basin, surrounded by rhododendrons and woods. 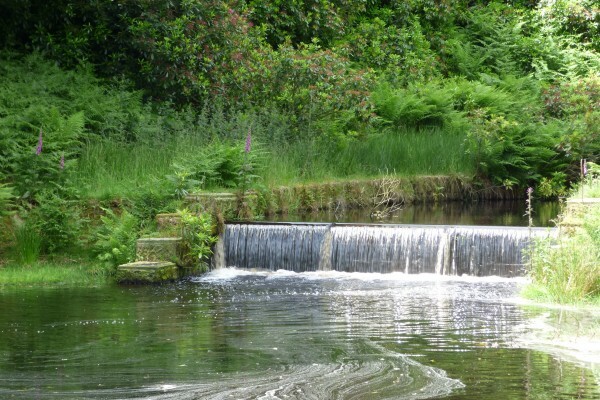 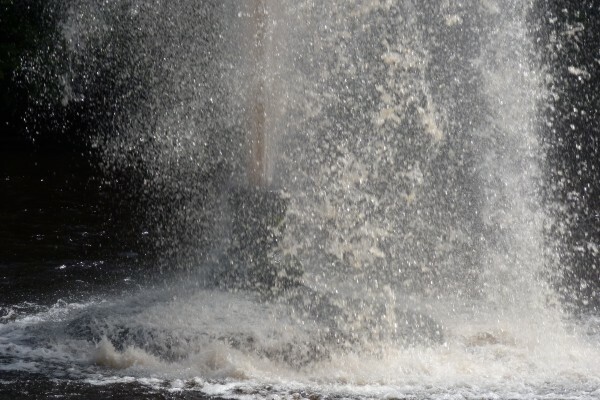 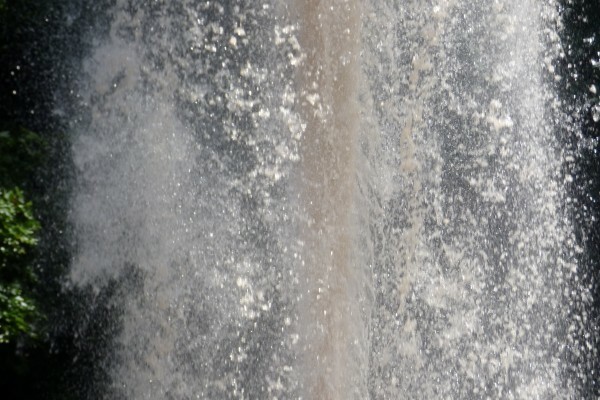 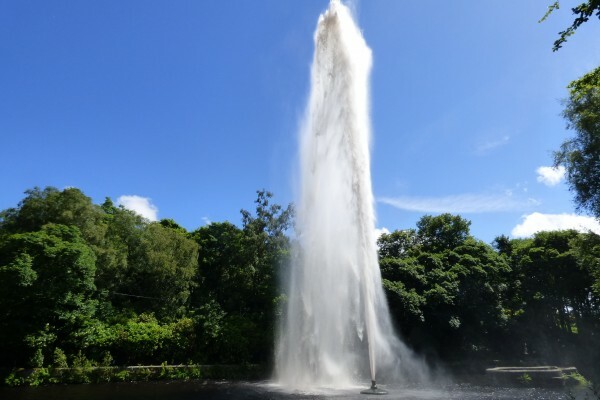 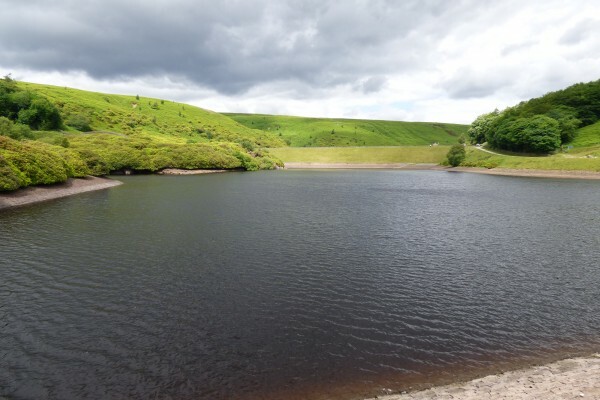 Gravity fed with over 60 metres of fall from a huge tank above Deep Clough Farm, the force of the water is so powerful that the fountain can reach heights of over 100ft, second only to the fountain at Chatsworth in Derbyshire. 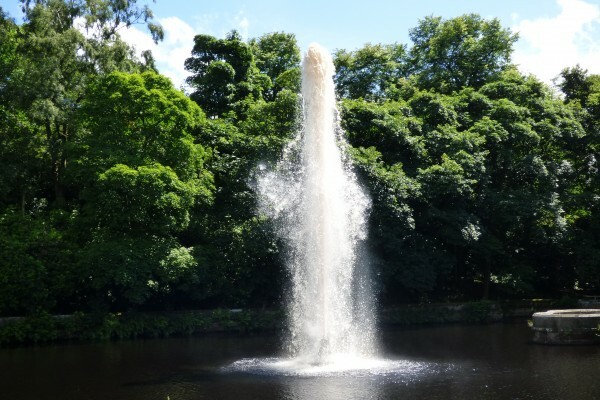 These photos show the fountain in action on a sunny summer afternoon on Sunday 3 July 2016. 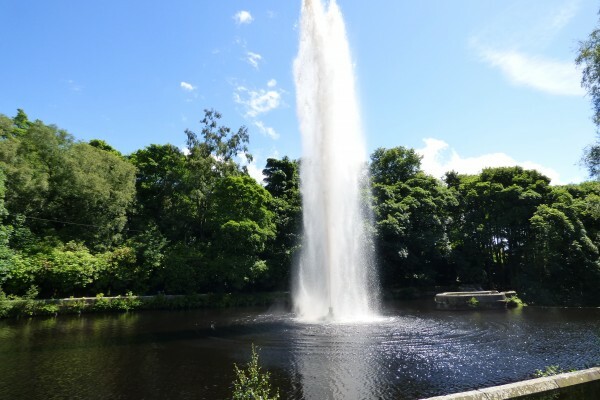 A huge crowd gathered to watch the spectacle at 2pm in a charity event organised by Halifax Rotary Club. 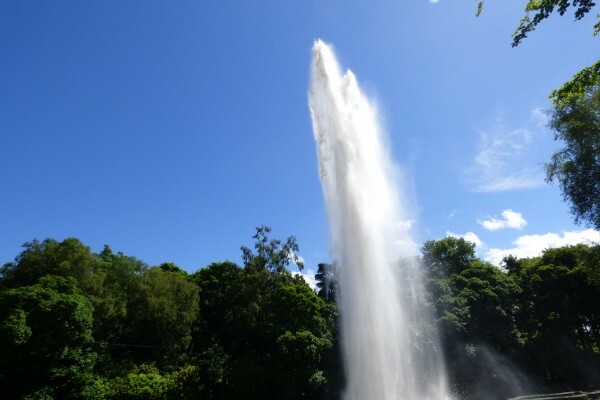 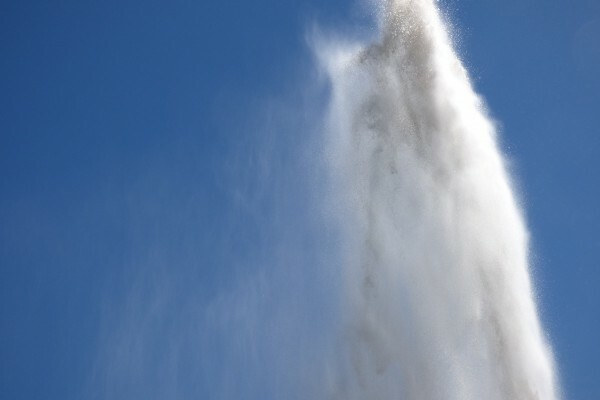 Following the countdown to the switch-on, the fountain shoots up extremely quickly, rising higher and higher above the trees. 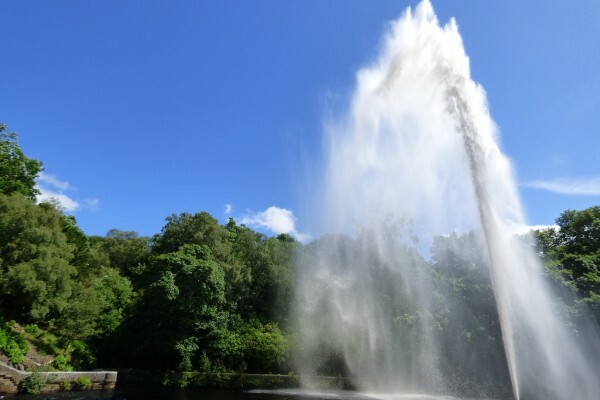 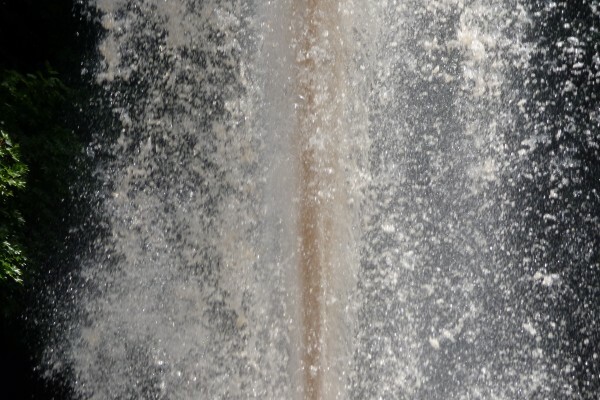 The spray is cast far and wide in the wind, creating rainbow effects as it catches the light. 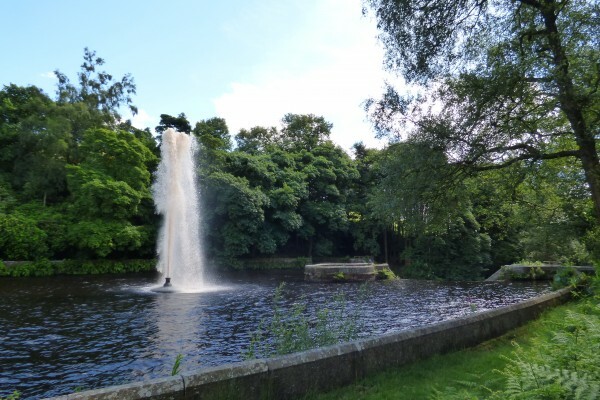 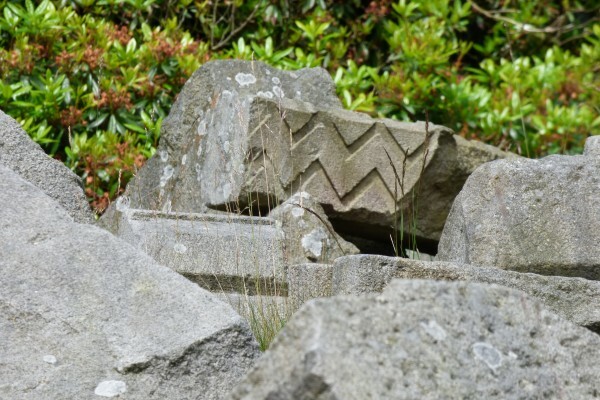 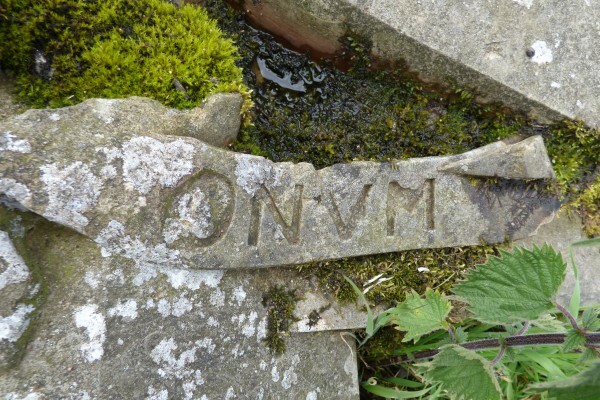 Originally there were four other fountains at the corners of the pool, but these no longer function as the cast iron pipes that supplied them with water were damaged by flooding in 1989. 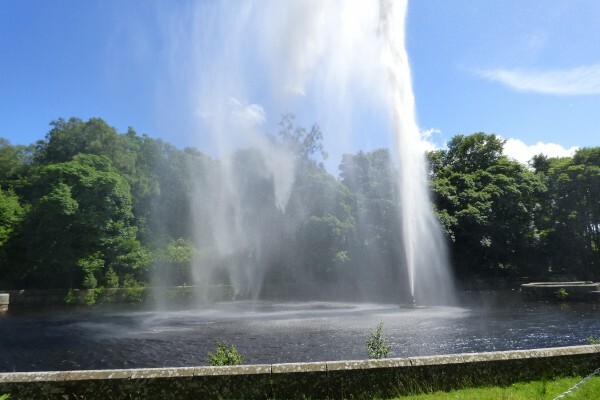 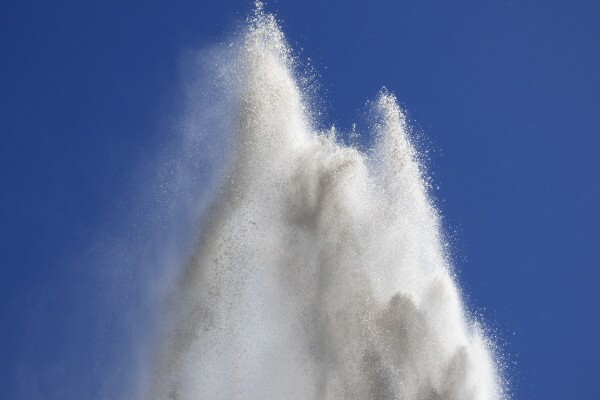 Thankfully the main fountain is still in good working order and this year’s display was as spectacular as ever. 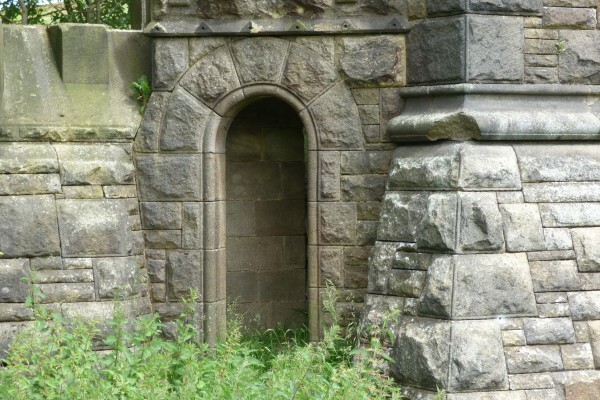 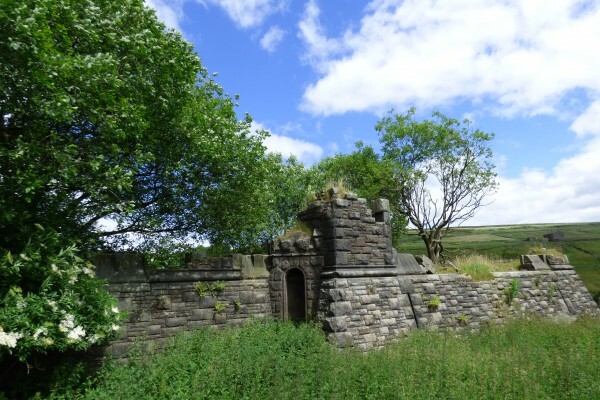 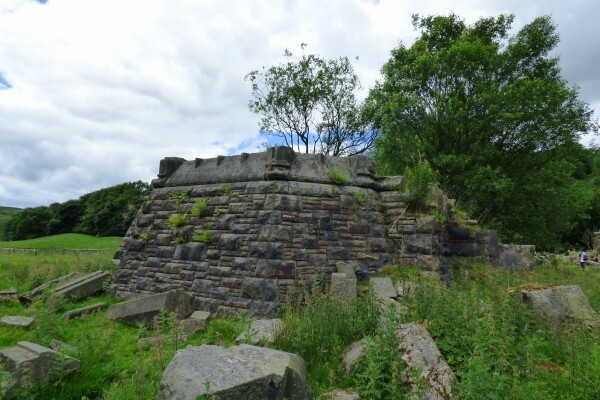 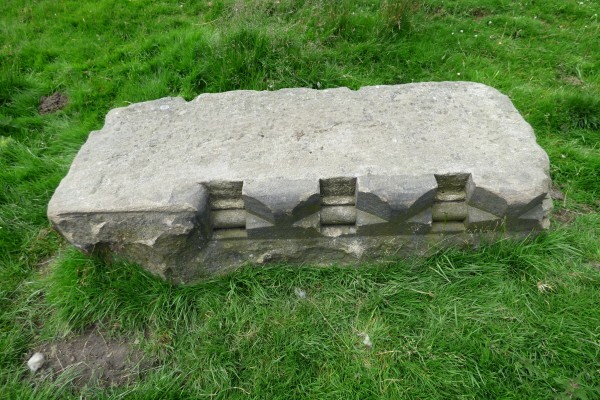 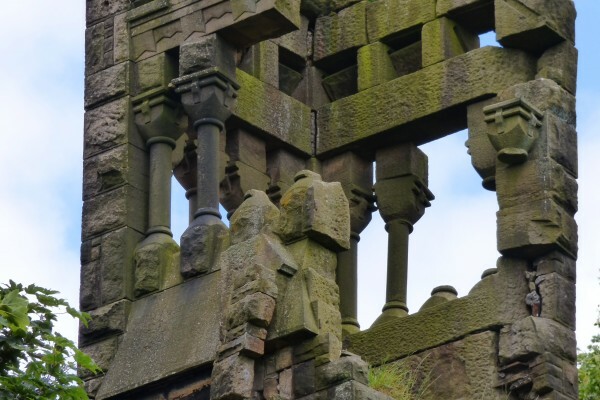 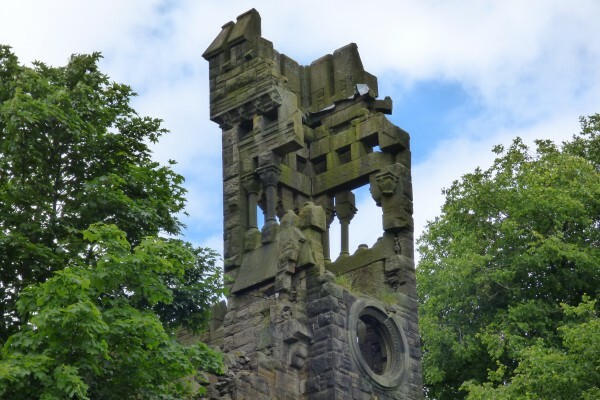 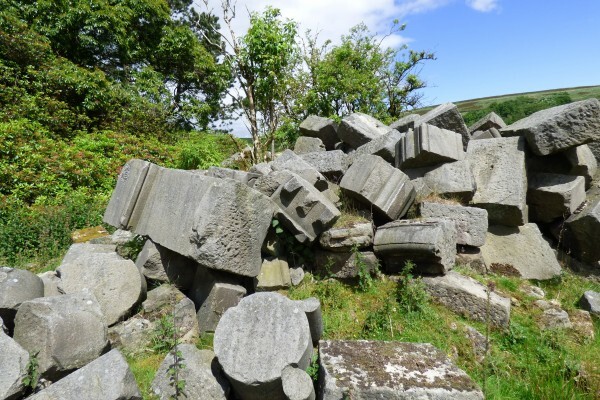 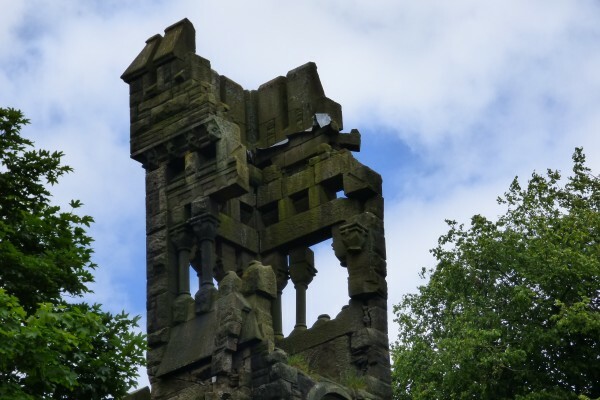 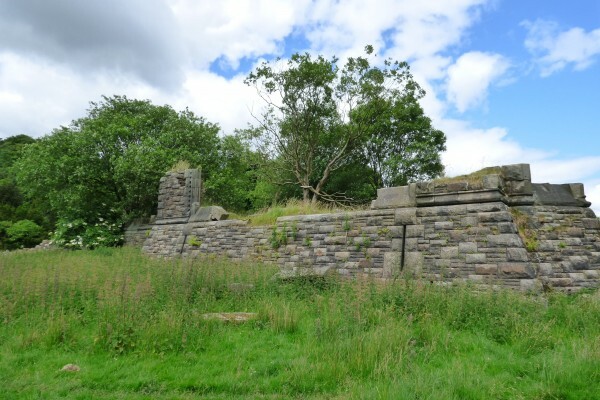 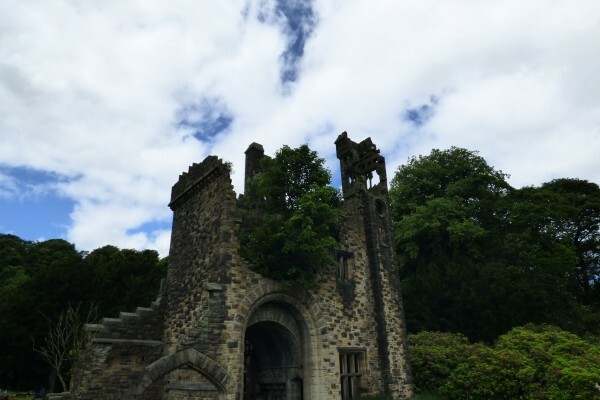 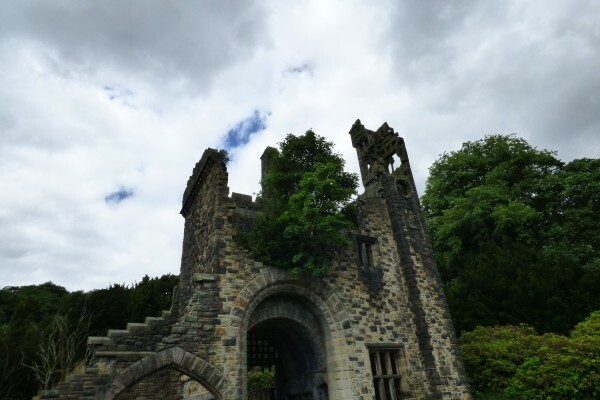 En route to the fountain are the atmospheric ruins of Castle Carr, a huge Victorian mansion constructed in a prominent position towards the top of Luddenden Dean. 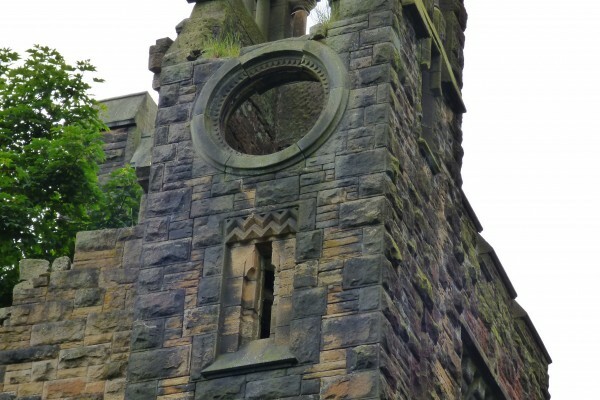 Designed by Thomas Risley, it was built for Captain Joseph Priestly Edwards between 1859 and 1867 , but demolished just over a century later. 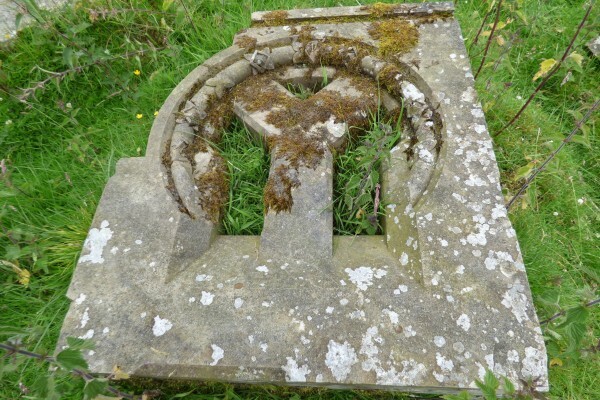 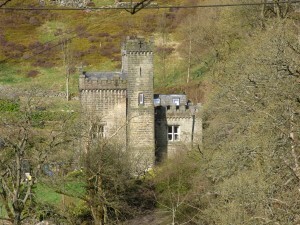 Edwards himself never actually inhabited Castle Carr as he and his eldest son were killed in a railway accident before the house was finished. 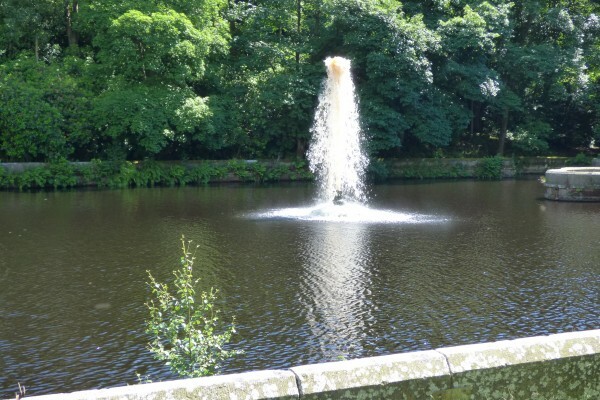 The building was completed during the early 1870s by his younger son Lea Priestley Edwards, with later additions by Halifax architect John Hogg, who also developed the water gardens. 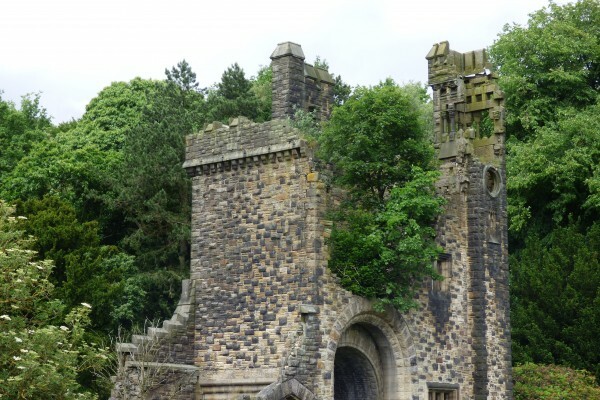 Although Lea Priestley Edwards lived at Castle Carr from 1875-6, its vast scale and damp location made the house impractical as a permanent residence, although it was later used as a hunting lodge. 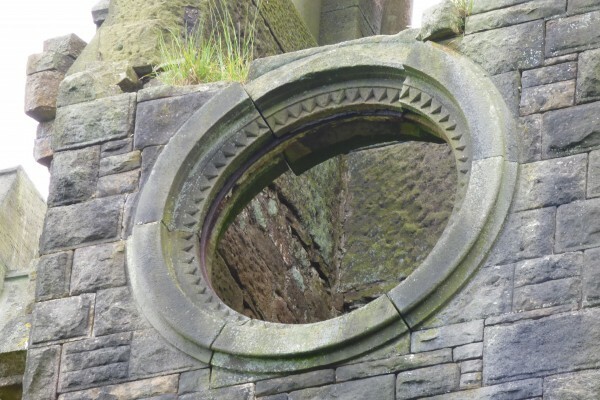 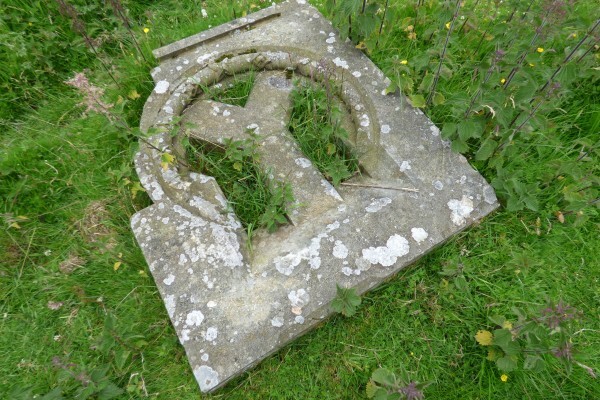 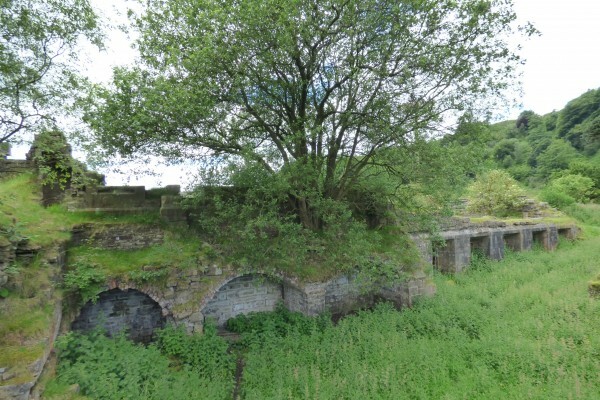 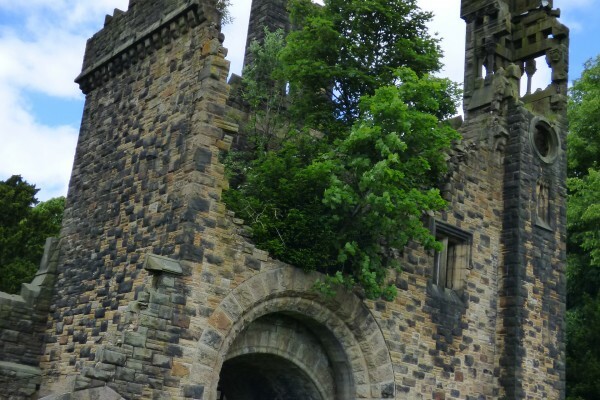 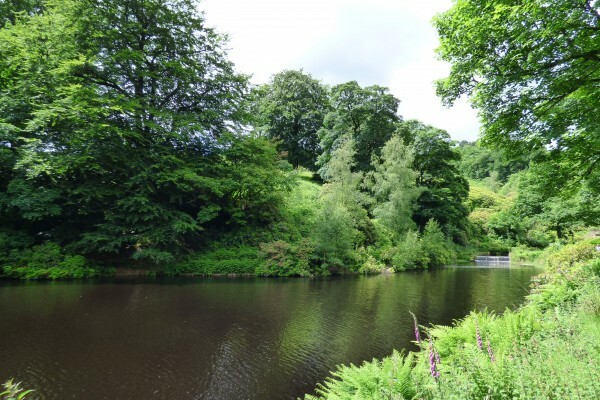 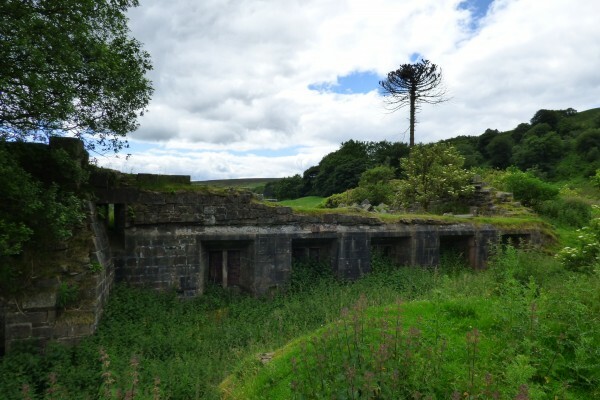 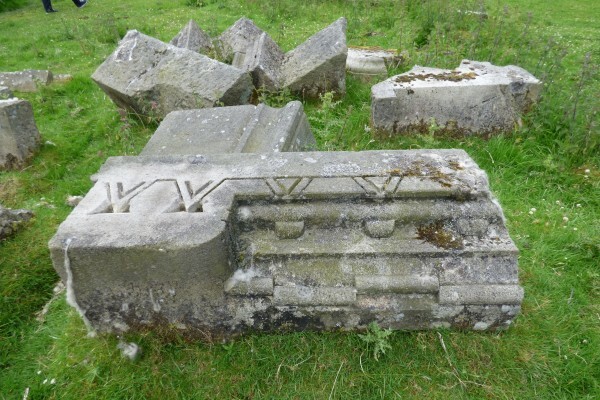 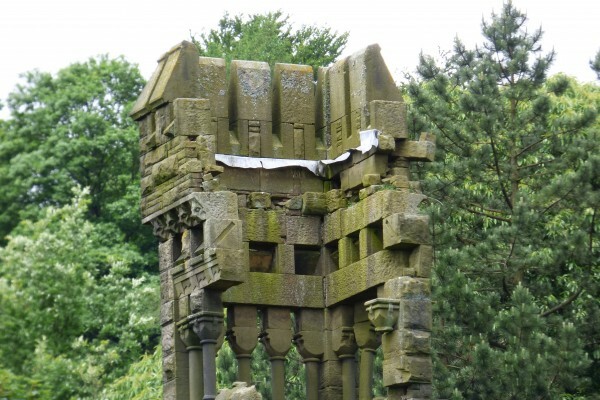 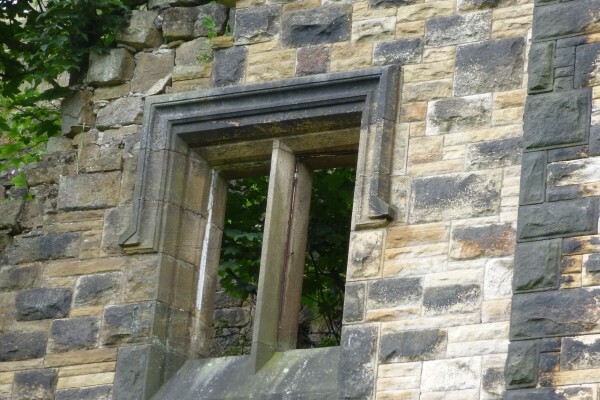 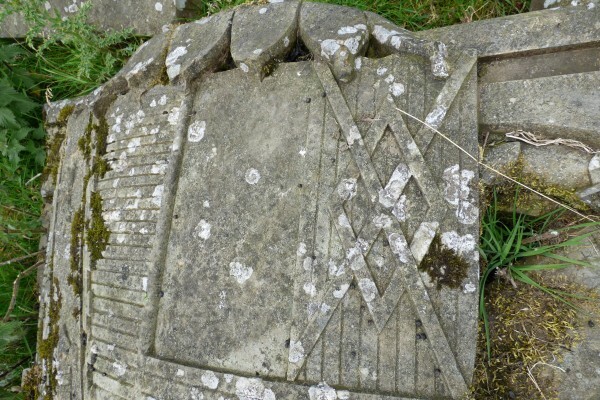 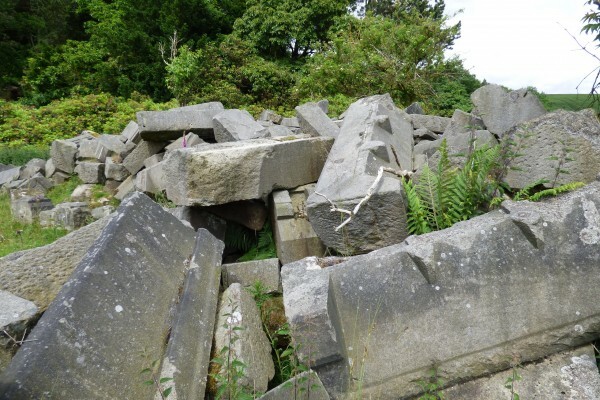 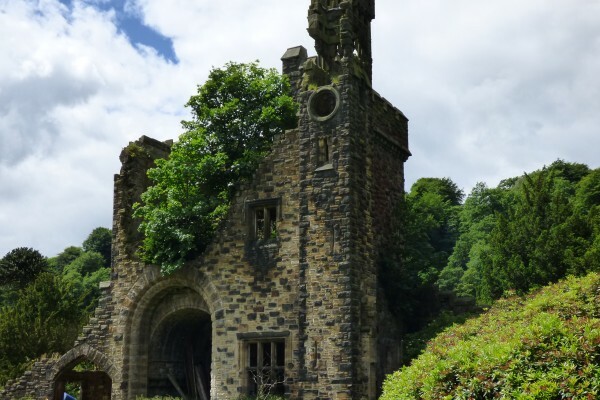 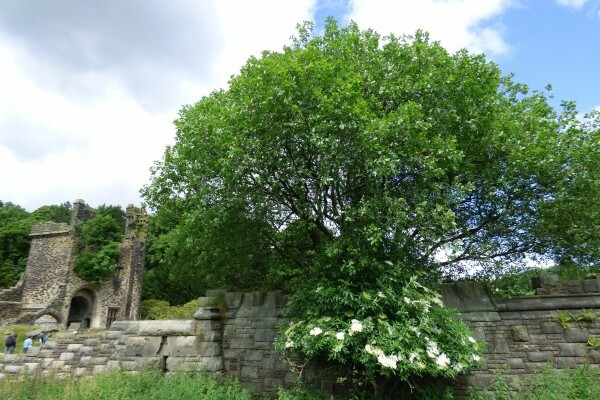 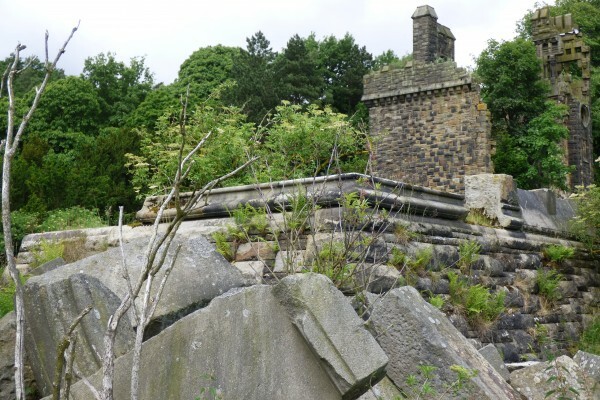 Latterly owned by the Murgatroyds, the wealthy textile family who built the Oats Royd Mill complex lower down the Luddenden valley, Castle Carr was used for parties during the 1930s but fell into disrepair during the Second World War. 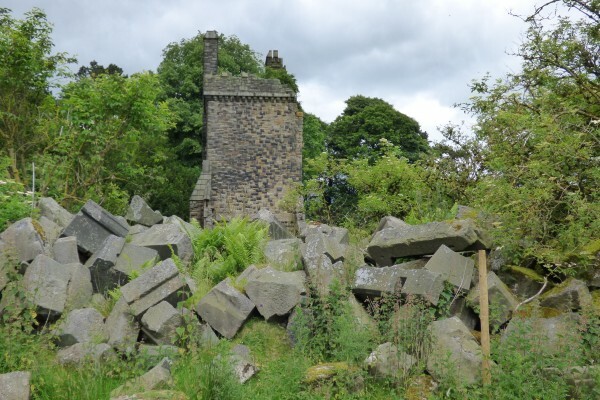 Following the sale of the estate in 1961, most of the house was demolished and the building materials auctioned. 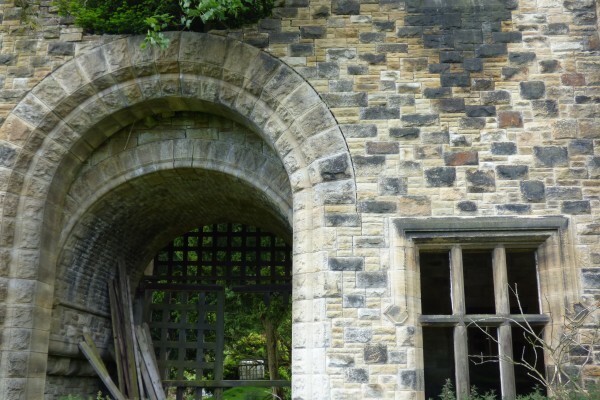 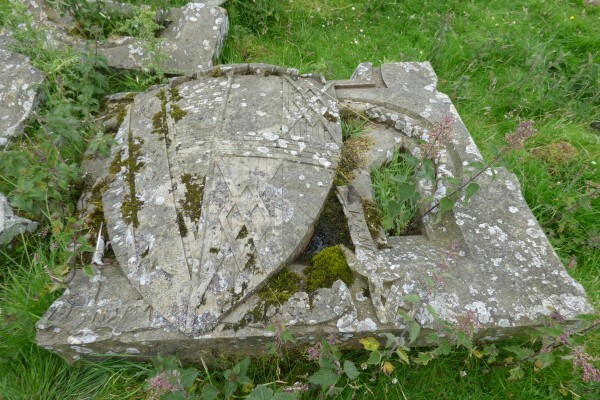 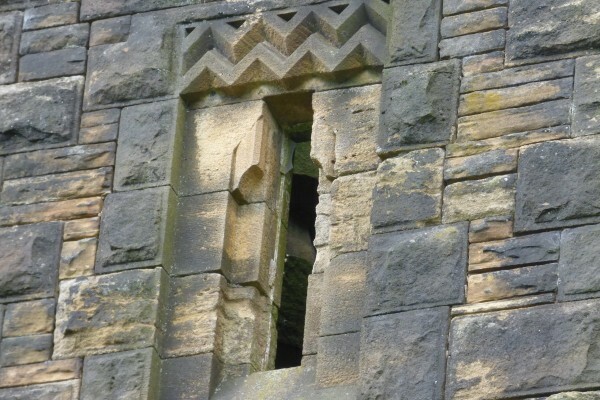 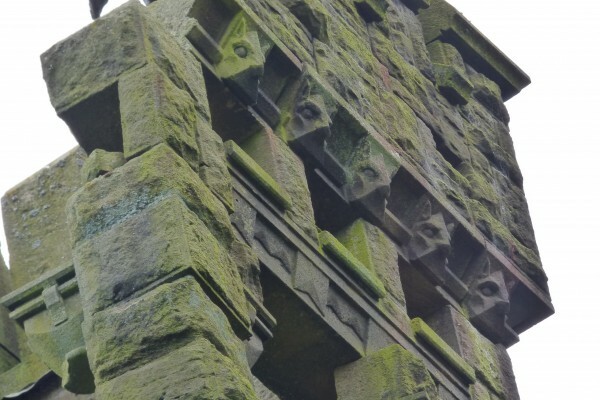 The only section of the building still standing (albeit precariously) is the portcullis entrance tower, originally the main gateway to a large courtyard around which the house was built. 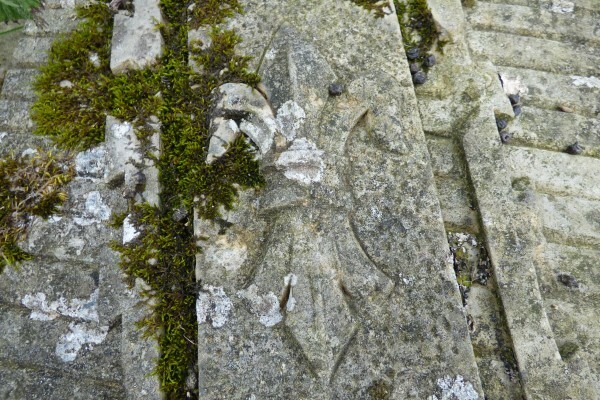 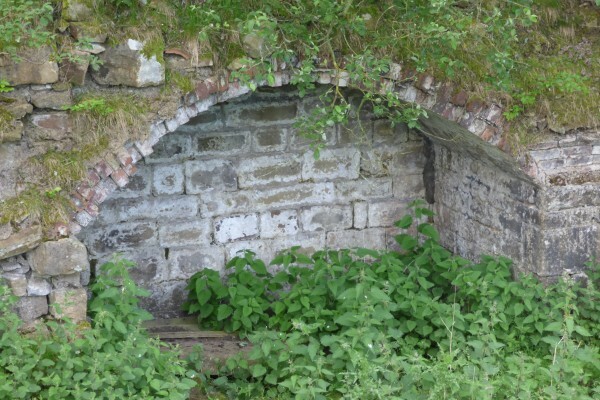 Part of the kitchen block also remains and the vaulted ovens are still visible in the foundations. 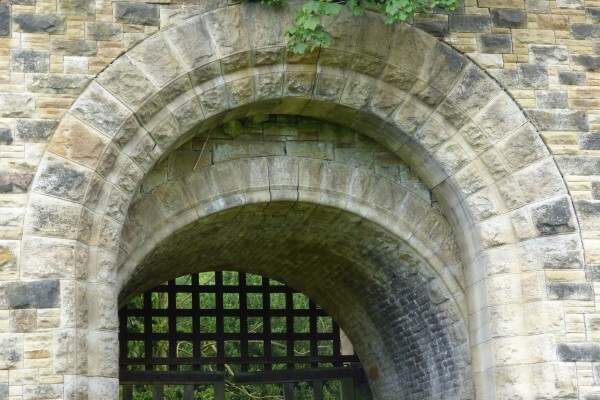 Lower down the valley are the castellated lodge houses bridging the lane. 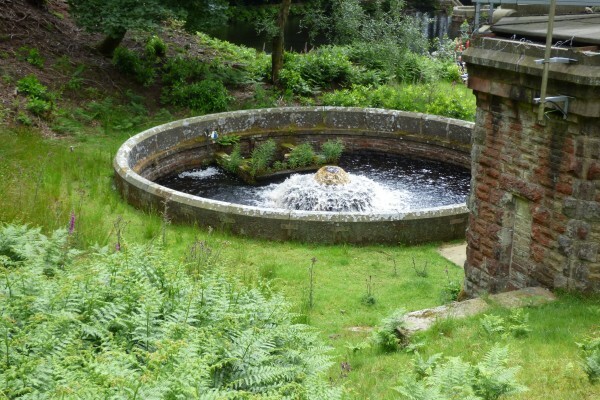 Whereas the rest of the estate is only accessible a few days each year when the fountain is in operation, the lodges can be viewed from a public track.